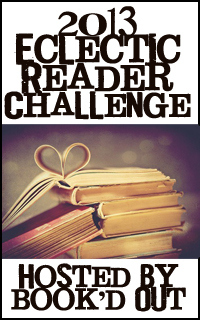 2013 is drawing to a close, and with it the reading challenges I undertook. Here are the results. I pledged to read 100 books this year, and as of today I have logged 122 completed titles on Goodreads, not counting books I re-read (Catching Fire and The Book Thief for the Book to Movie Challenge, plus listening to the first four Wheel of Time books). Completed books with forthcoming reviews (five titles) will count towards my 2014 tally. Tune in next week to find out what challenges I’m signing up for in 2014. If you’re hosting a challenge in 2014, please leave a link below! 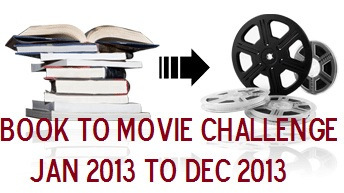 Thanks for joining the Book to Movie challenge! I’m not sure if I’ll be brave enough to see The Book Thief or not. The book made me cry so much, I’m not sure I could handle the movie. I definitely cried in the theatre. But I took a friend who cried with me, so we could be embarrassed in public together.